Please find more information about Cumulative Update for Microsoft Dynamics 365 Business Central released in November 2018 below. In older NAV versions, developers and users(with required permissions) can view the table data by running tables directly from the Object Designer of NAV Development Environment. See below screen. Let’s see how we can View Table Data in Microsoft Dynamics 365 Business Central Web Client. For developers, administrators, and support personnel, it can be useful to inspect table data in the tenant database, particularly when debugging or troubleshooting. To support this need, you can view table objects in the Web client. In a production environment, administrators and support can view a table directly from the Web client. In a development environment, in addition to viewing a table directly from the Web client, developers can view a table automatically when they publish/debug an AL project from Visual Studio Code. NOTE : The table appears as read-only in the client, so modifications, insertions and deletions cannot be made. IMPORTANT : Data in the tables can be sensitive. Be sure to follow your organization’s guidelines for handling such data. Read permission on the table that you want to view. Execution permission (direct) on the System object 1350 Run table. Any end-user that is assigned these permissions will be able to view that table in the browser. To view a table, you add the table=<TableID> parameter to the client’s address (URL), replacing <TableID> with the ID of the table that you want to view. Note the use of & when table=<TableID> is not located directly after the domain name. See below example, how we can run table object directly from the client running on docker container. You can configure an AL project to view a table when you publish or debug the project (pressing F5 or Ctrl+F5). There are 4 ways how we can extend Microsoft Dynamics 365 Business Central. First three types of apps are available through Microsoft AppSource. Today we will see how we can deploy a per tenant customization to customer’s production tenant. When you have finished developing and testing your tenant customization, you must deploy the extension (.app file) containing the customization to your customer’s production tenant. 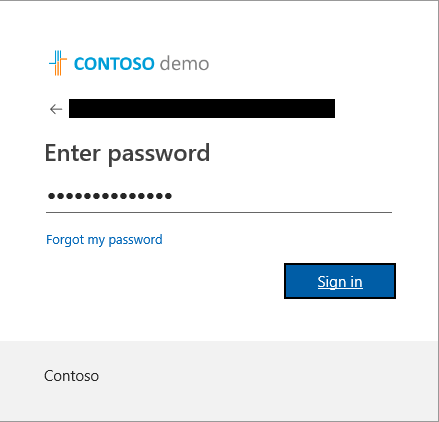 You must be able to log into the customer’s tenant as a user with permissions to the Extension Management page to complete the deployment. Use the Upload Extension action to deploy the extension. The extension can be deployed for the current version or for the next version of the service. In most cases it is sufficient to select the current version, unless you have developed the extension specifically for the next version. 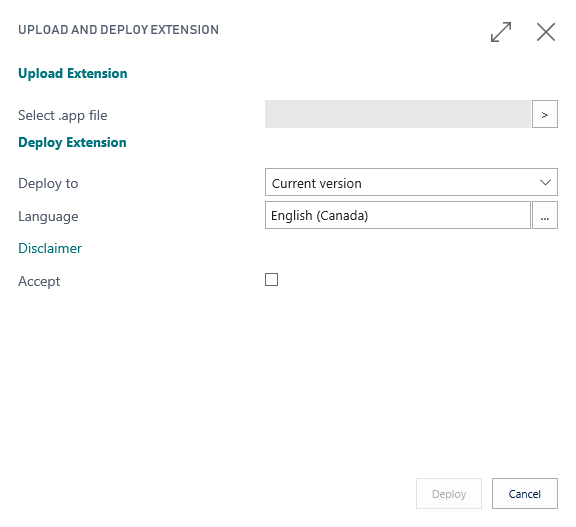 When you deploy an .app file for the next version, the extension will be queued up to be deployed as part of the customer’s tenant being upgraded to the next version. You can typically use this in a situation where you have built an upgrade of the extension to work with the next version. The extension you are deploying could be the initial release of the customization or an upgrade to a previous version. You must use the same steps for uploading a new extension or an extension upgrade. 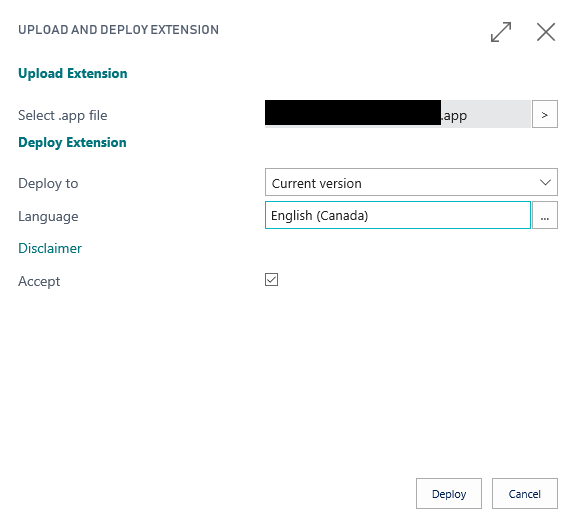 The service will determine if the extension needs to be upgraded based on the extension’s app ID and version. 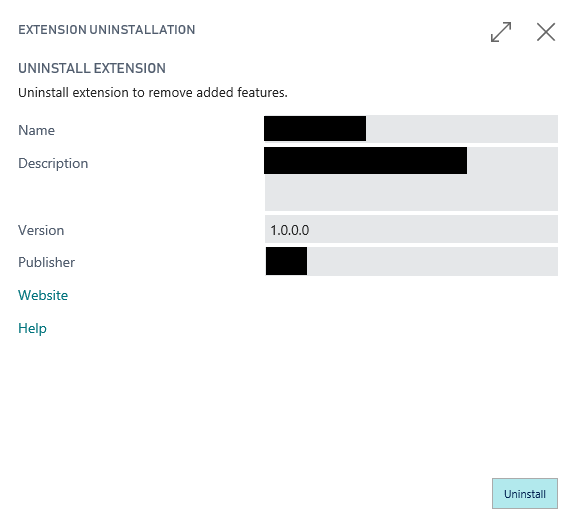 If you are developing an extension as an update to a previously deployed extension, you must keep the app ID the same and increase the version to successfully upgrade the extension to the new version. Log into your customer’s Dynamics 365 Business Central tenant. Enter this URL : https://businesscentral.dynamics.com in web browser. 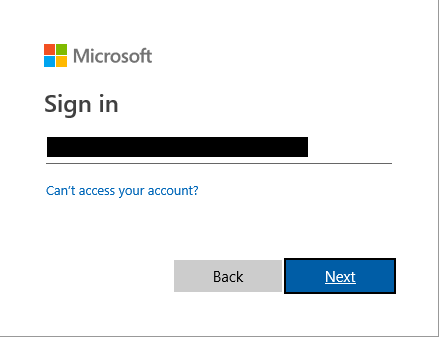 It will ask for username to Sign in. Press Next for the password. 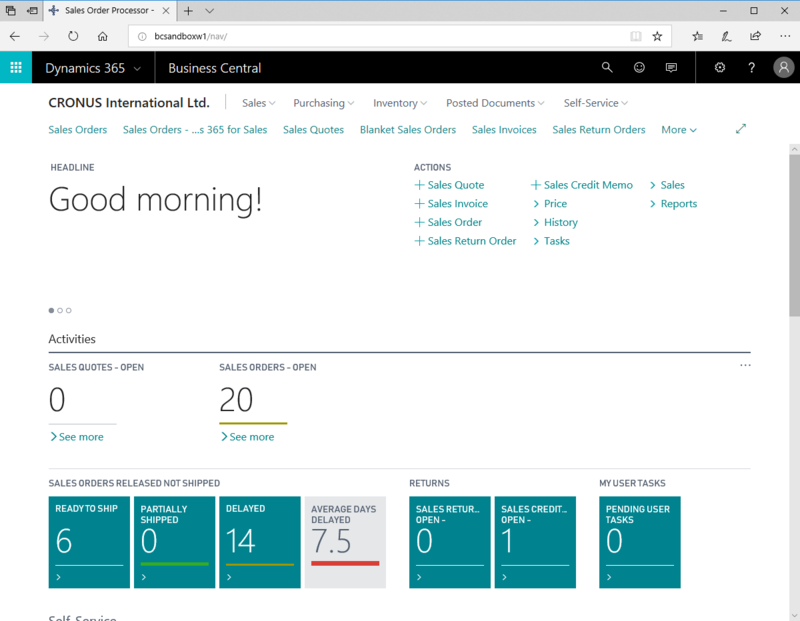 After the successful login you see the Home page of Microsoft dynamics 365 Business Central. Open the Extension Management page. Press the search button from Right-Top corner of the Home page and type Entension Management in search box. Select the first option available from the results. Choose the Upload Extension action. It will open Upload and Deploy Extension page. Select the browse button to select the .app file to upload. Browse to and select the extension’s .app file. Select if you want to deploy for the current version (most common) or Next minor version or Next major version. Select the language for the deployment. Choose the Deploy button. You will see the below information message. Press OK to continue. The extension will be deployed in the background. To check the status of the deployment, choose Deployment Status and then view the status of the extension deployment. Select the row to see additional details. In the deployment status details there is a Refresh button in the actions you must press to retrieve the most recent status and details. It will show status as “InProgress”. Once it is completed status will change to “Completed”. If the deployment is fail then it will show the status as “Failed”. As of now there are no any options available to check detailed error log why the deployment is failed. When the extension has been successfully deployed, choose the Refresh button to see the new extension in the list of installed extensions. Click on the installed extension to see the details. To remove the extension from the customer’s production tenant first Uninstall it and then Unpublish it. Right click on extension which you want to remove. Select Uninstall to open Extension Uninstallation window. Press Uninstall button from the window. It will show information message about Uninstallation. And you can see status of extension as Uninstalled in the list. 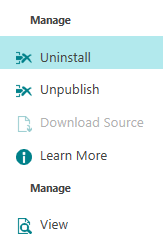 After the uninstall we need to unpublish the extension to remove. Once it is removed successfully you can’t see in Extensions list page. In an AL project there are two JSON files; the app.json file and the launch.json file. These files are generated automatically when you start a new project. The app.json file contains information about extension that you are building, such as publisher information and specifies the minimum version of base application objects that the extension is built on. Often the app.json file is referred to as the manifest. The launch.json file contains information about the server that the extension launches on. id Yes The unique ID of the extension. When app.json file is automatically created, the ID is set to a new GUID value. name Yes The unique extension name. brief No, but required for AppSource submission Short description of the extension. description No, but required for AppSource submission Longer description of the extension. version Yes The version of the app package. privacyStatement No, but required for AppSource submission URL to the privacy statement for the extension. EULA No, but required for AppSource submission URL to the license terms for the extension. help No, but required for AppSource submission URL to the help for the extension. url No URL of the extension package. logo No, but required for AppSource submission URL to the logo for the extension package. screenshots No Relative paths to any screenshots that should be in the extension package. platform Yes, if system tables are referenced in the extension The minimum supported version of the platform symbol package file, for example: “11.0.0.0”. See the Symbols for the list of object symbols contained in the platform symbol package file. idRange Yes A range for application object IDs. For all objects outside the range, a compilation error will be raised. When you create new objects, an ID is automatically suggested. target No By default this is Extension. For Dynamics NAV, you can set this to Internal to get access to otherwise restricted APIs. The Dynamics NAV Server setting must then also be set to Internal. The following table describes the settings in the launch.json file. 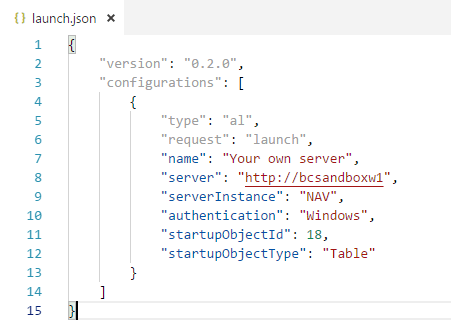 The launch.json file has two configurations depending on whether the extension is published to a local server or to the cloud. type Yes Must be set to “.al”. Required by Visual Studio Code. request Yes Request type of the configuration. Must be set to “launch”. Required by Visual Studio Code. authentication Yes Specifies the server authentication method. startupObjectType No Specifies whether the object to open after publishing is a Page type (“Page”) or Table type (“Table”) object. The default is “Page”. startupObjectId No Specifies the ID of the object to open after publishing. Only objects of type Page and Table are currently supported. This feature is not supported in Dynamics NAV. breakOnError No Specifies whether to break on errors when debugging. The default value is true. breakOnRecordWrite No Specifies if the debugger breaks on record changes. The default value is false. tenant No Specifies the tenant to which the package is deployed. If you specify multiple configurations, a drop-down of options will be available when you deploy. The platform symbol file contains all of the base app objects that your extension builds on. If the AL Language extension in Visual Studio Code detects that the referenced symbols are not present on local disk, you will get a visual prompt in Visual Studio Code to download the symbols from one of the servers specified in the launch.json file. For more information about the platform symbol file, see Symbols.